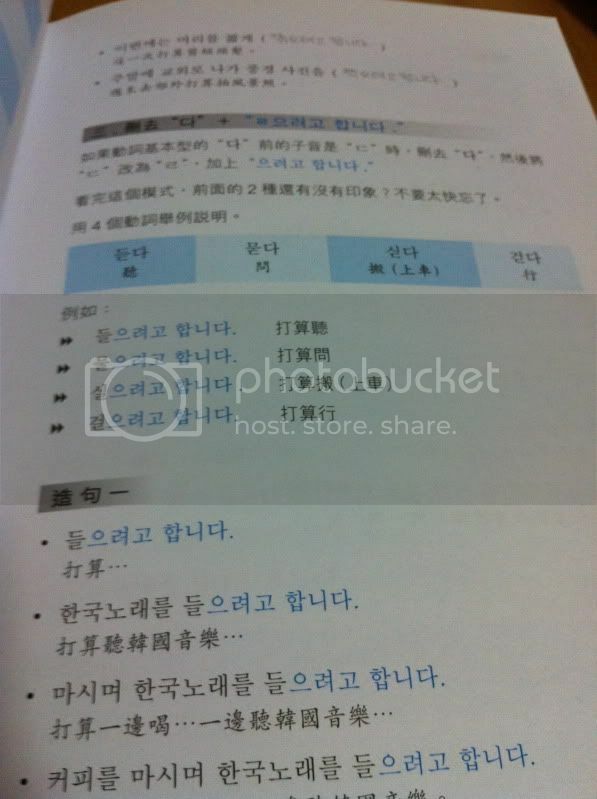 Korean is the first foreign language that I’ve learnt for more than a month and it’s very different from English. I remember feeling very lost and unsure of how to approach the language and things are very very new to me. I wasn’t sure how long that determination to self-study would last but I was eager to learn. This book is the one that sustained my interest over that ‘unsure’ period. Okay, I think I’ve droned on for very long. It’s time for the review! 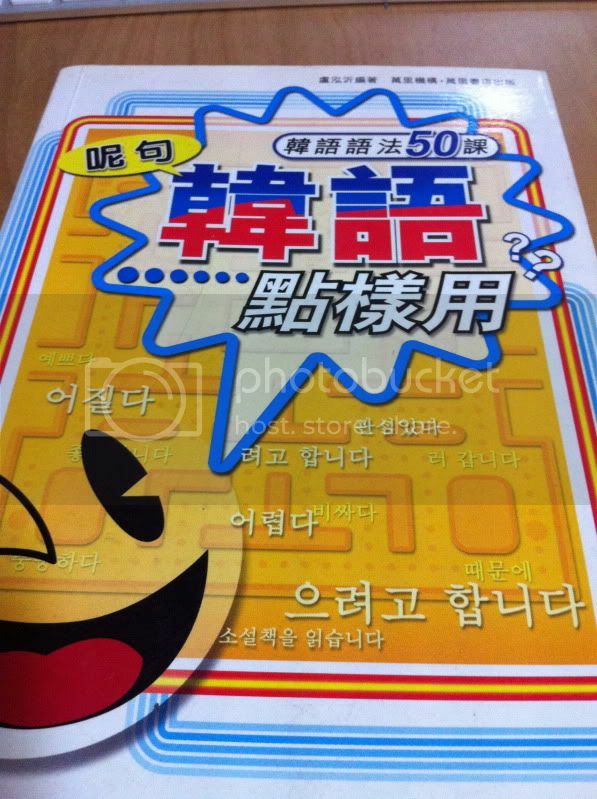 Basically, this is a grammar book that covers the 50 common grammatical structures in Korean. Normal grammar books will always include some explanation, followed by a series of example sentences. This book offers much more in that they break down the example sentence for you so that you can see how exactly is it constructed. They have loads of practice that goes one step by one step, so you won’t feel too overwhelmed. Very much suited for the self-learner. The layout is clean and the book is small enough to bring it around with you (: The book is from Hong Kong so they use traditional chinese characters instead! YouAskIAnswer: Repeat, Revise or Progress? 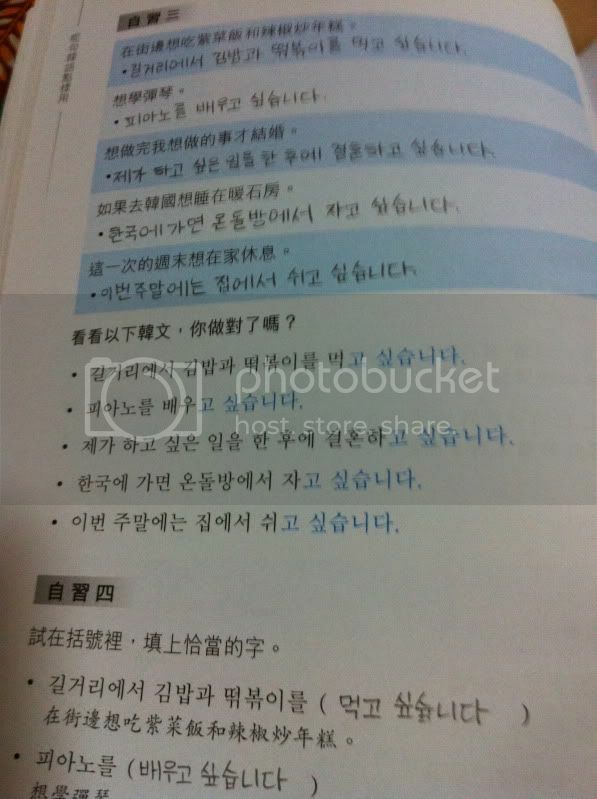 It really seems that the best Korean textbooks are either for Chinese or Japanese speakers. You’ve reviewed a couple for Chinese speakers and I’m sooo envious. I hope the materials for English speakers will catch up soon. Shanna great review! Looks like I can also benefit from this book. Could you please give the ISBN of this book here? Thanks! this book is in cantonese… i think. a guess from the title of the book. You are both right. The book is in traditional Chinese characters as all books from HK are, and the contents seem to be standard written Chinese which we all read regardless of speaking Mandarin, Cantonese, Hokkien, Hakka…whatever! Anyway, great blog Shanna! Well done! Inspire me to work hard learning Korean ?